Oxford University Press, USA, 9780198812593, 392pp. 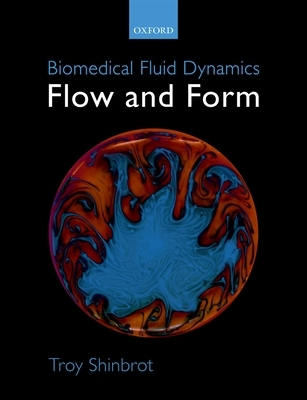 This is a readable and attractively presented textbook on fluid flow in biological systems that includes flow through blood vessels, pulsatile flow, and pattern formation. It bridges the divide among biomedical engineering students between those with an engineering and those with a bio-scientific background, by offering guidance in both physiological and mathematical aspects of the subject. Every chapter includes surprising, amusing, and stimulating effects that the reader may want to experiment on their own. Brief historical vignettes are also included throughout this book. We in the 21st century can so easily turn to the computer to provide a solution, that we forget the extraordinary sparks of insight that scientists in centuries past had to rely on to provide us with the foundational understanding and analytical tools that we now depend on. This book is an attempt to maintain our roots in past investigations, while giving us wings to explore future ones. Troy Shinbrot, Professor of Biomedical Engineering, Rutgers University Troy Shinbrot received his undergraduate degree from Reed College, and his PhD from the University of Maryland. His dissertation dealt with the control of chaos. After leaving Maryland, he joined the faculty at Rutgers University, where he has studied mixing, demixing, soft matter physics, as well as a smattering of topics in neuroscience, pharmaceutical engineering, and astrophysics. He is a fellow of the American Physical Society and the American Institute for Medical and Biological Engineering, and the founding editor of Physical Review Applied.